Yes, pro players also make mistakes when trying flashy plays. Fortnite: Battle Royale professional players also make bad plays sometimes. Turner “Tfue” Tenney caught two of them on a livestream yesterday while he was playing Solo Arena mode, and he was in part responsible for one of these fails. Tfue was alive in a late-game situation with about 17 other players still fighting in the storm. Tfue edited a wall in front of him to try to catch a player, hitting a few shits on him. Tfue then edited and closed the wall—right as his opponent shot a rocket at him. The rocket exploded against the wall, right in the face of the shooter—TSM player Commandment. In another situation, Tfue was already out of the match but chose to spectate for a while. He was watching Sentinel’s Aspect fighting on the high ground with only six players remaining. Aspect saw an opponent on the floor below him and tried to drop while building a few walls and a floor right under himself to prevent his fall. But he ran too far from the building area. Aspect failed to build the structures and had nothing under him. He fell to his death. 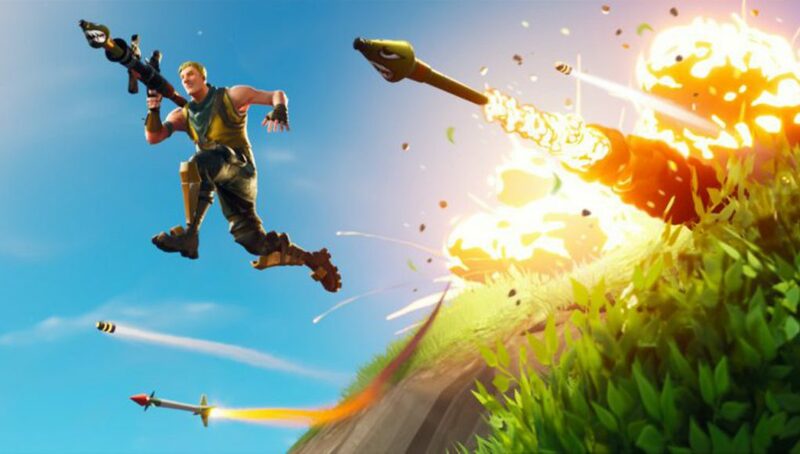 Next time you try to make a flashy play in a Fortnite match and fail miserably, remember that even professional players mess up sometimes.